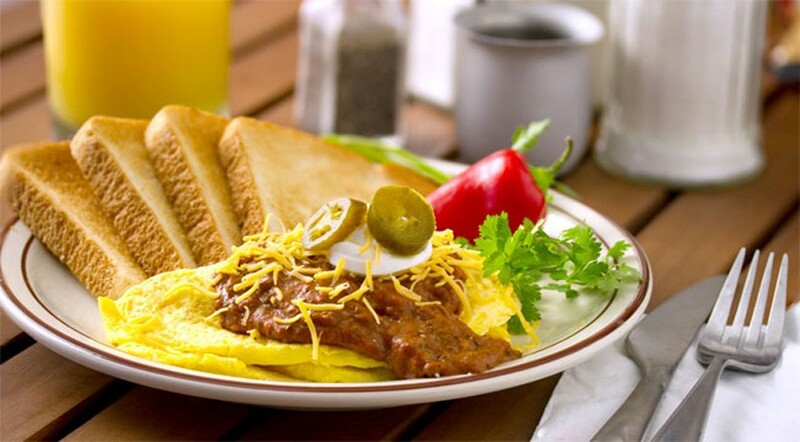 Prepare 3 egg omelet. Cover with 4 oz. 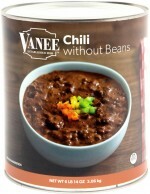 heated VANEE CHILI WITHOUT BEANS. Garnish with 1/4 cup of cheddar cheese.